If you’re a hand loader, you already know by now that you can only get the same weigh on cartridges only if you carefully weigh them on a scale. Although a small variation in powder charge weight typically is has no influence on accuracy out to the maximum distance you shoot, it’s a time saver to measure charges instead of weighing them. Most of the powder measures out there are accurate enough. 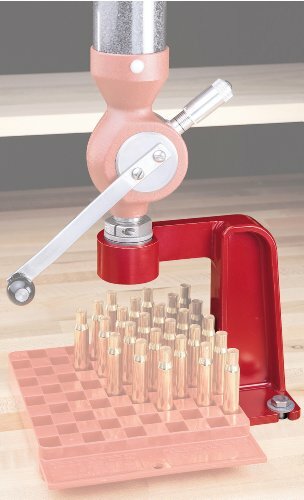 Of course, the bench rest shooters use precision-machined units and the market gives you high quality products on that. Bench rest shooters do pull the loads they are shooting between relays and the custom measures they use have more accurate repeatability of adjustment than the common measures. These powder measures operate more smoothly and throw charges of large-grained powders more systematically. It’s also very important how you use the powder scale. You need to throw charges with minimum variation and to operate exactly the same for each charge of powder. We think that you already know by now that you can’t pull back hard the handle against its stops on one charge and operate it softly afterwards. It’s very likely that the two charges vary more in weight this way and not if operated the same both times. Some consider a charge weight variation of 0.3 grain pretty acceptable in the larger cartridges, but good measure (if operated properly! ), filled with a smooth-flowing powder should hold that to no more than 0.1 grain. For the heavy charges, you get more accuracy if some measures when two half-charges are thrown into the case rather than one whole charge. So, you need to operate twice on a 40-grain setting and not once on an 80-grain setting. 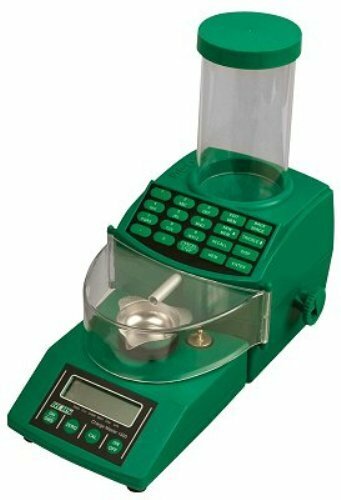 It’s important to know that finely granulated powders meter measure more precisely than coarser powders. Bench rest shooters typically use ball powders or fine-grained stick powders, whereas some use varmint cartridges. Of course, you may always use a digital dispensing system which automatically measures and weighs powder charges. You program the machine for the charge weight you want and simply press the start button. This system is more accurate with large-granule powders than a standard measures and eliminates operator inconsistency in throwing charges. No matter how much attention you pay to the powder measure technique, it’s useless if you can’t weight it precisely. So following some steps and tips might help you when using a powder scale. Your scale must be placed on a rock steady table so you need to have maximum stability and minimum vibration. Protect the scale by taking it off the bench before hammering any shims into place also. Even though this is not essential for the modern electronic powder scales, leveling is important when you want to shim the feet to make the bench stop rocking. Pay attention to the batteries also as batteries and AC power A weak battery can give errors to an electronic powder scale. Buy good quality battery and stay away from the cheap ones. Give time to your powder scale to warm-up as this time may affect scale’s accuracy. Some scales need even up to 30 minutes to warm up, especially if the room is very cold. 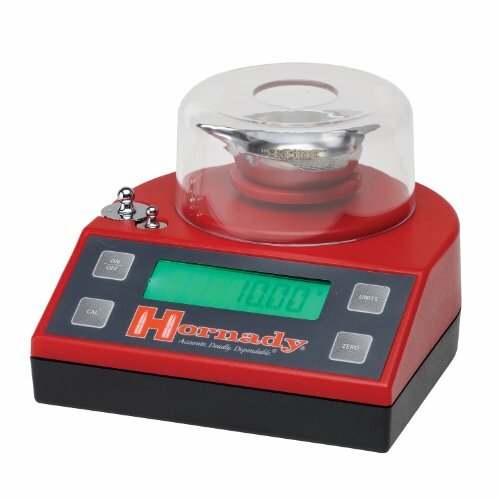 Use the check weights on the scale as calibration is also very important for the accurate results. Do the scale calibration every time you set up for a reloading session and in case you moved the scale or after you changed the battery. Some electronic scales come with a cover which isn’t just to keep dust off when not in use. Some covers are highly functional as they block air currents that might influence the precision of the powder scale. Keep in mind that static electricity and magnetic fields static electricity near the electronic scale might have a say on the precision of the scale just as well. Use a powder pan made from metal or from static dissipative plastic. You may also wash from time to time the powder pan with soapy water and let the soap film dry on the pan. The soap film helps dissipate static electricity. Protect the powder scale and don’t store anything made of plastic material or vinyl near the scale. Check very often zero use on the scale. It’s better to zero the scale right before every measurement. Also always center the load as an off center load gives binding of the load cell, thus creating errors. Keep your scale clean because dust and stray powder grains stuck in the load cell may bind the mechanism. Keep the scale closed when it’s not in use and remove the weighing platform from time to time to clean underneath (if that’s possible). Last, but not least, take good consideration of the powder pan as the metallic ones give more advantages than the plastic pans. A metallic pan doesn’t hold a static charge, don’t need frequent cleaning and powder grains slide off pretty easily. You also see better powder grains on a metallic pan as it’s typically shiny gold or bare aluminum colored. Of course, these are just few tips when it comes to getting the best results from your powder scale and time and experience might teach you more. As it’s versatile, precise and combining several functional parts, the RCBS Combo is a great buy for any hand loader. The hopper is placed into the threaded area of the measure. There isn’t a tight tolerance fit like this so this part of the design needs to be improved. Either than this, there aren’t any other things to complain about. 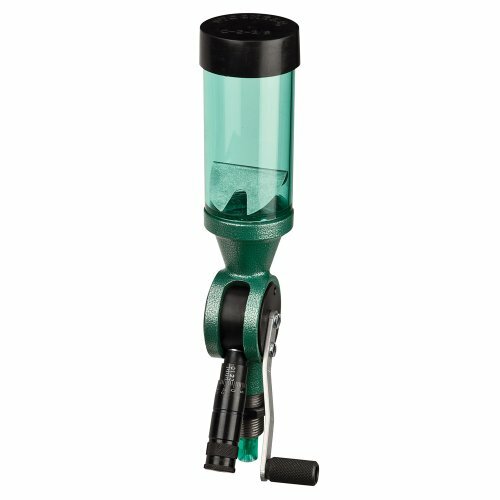 If you are into the black powder, this is one tool to help you with the loading. All in all, for the money you pay, the RCBS Powder Measure Pistol is a good, reliable tool for the serious handgun reloaders. Here’s the rifle version. And they also carry a combo reloader. 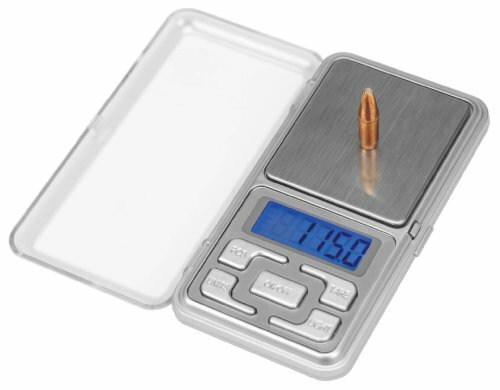 These issues are minor and not deal breakers and the Hornady Electronic Scale is still a good choice if you go for this type of powder scale. But, if you want precision, reliability, for a good price and a long time with proper care, in a traditional everlasting way, the RCBS Model 505 is a sure thing. Apart from these minor issues, the Arsenal is a great choice for a digital powder scale. Keep in mind that there are some rules to follow when you want the most accurate results, either way. Apart the fact the system doesn’t come with bolts, we can think of any other parts that count as cons. 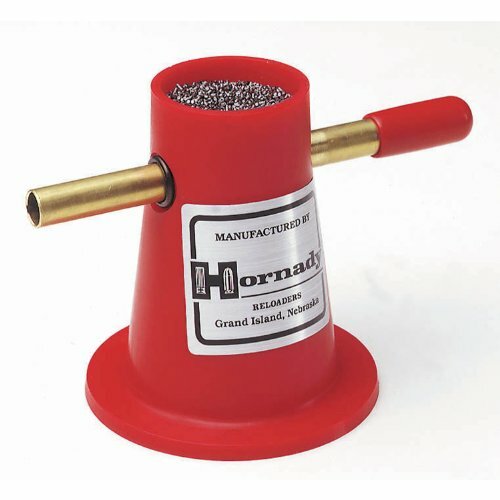 But, for the money you pay, the Hornady Powder Trickler is an efficient, low-priced trickler.